Shannon Brock Myles, LCSWR, is a board-certified mental health therapist who graduated from Ithaca College with a BA in Sociology/Minor in Clinical Social Work, and from SUNY Albany with a Master’s in Social Work. She has worked with a variety of populations throughout her career, including work as a Crisis Therapist at the Center for Children and Families in Glens Falls, and as a Crisis Evaluator in the Glens Falls Hospital Emergency Care Center. 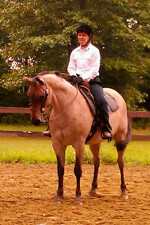 Shannon has enjoyed a lifelong relationship with horses and always dreamed of incorporating horses into a career. During a visit to see her brother and sister-in-law in Jackson Hole, Wyoming, Shannon was delighted to learn of a unique and effective mental health treatment called Equine Assisted Psychotherapy. 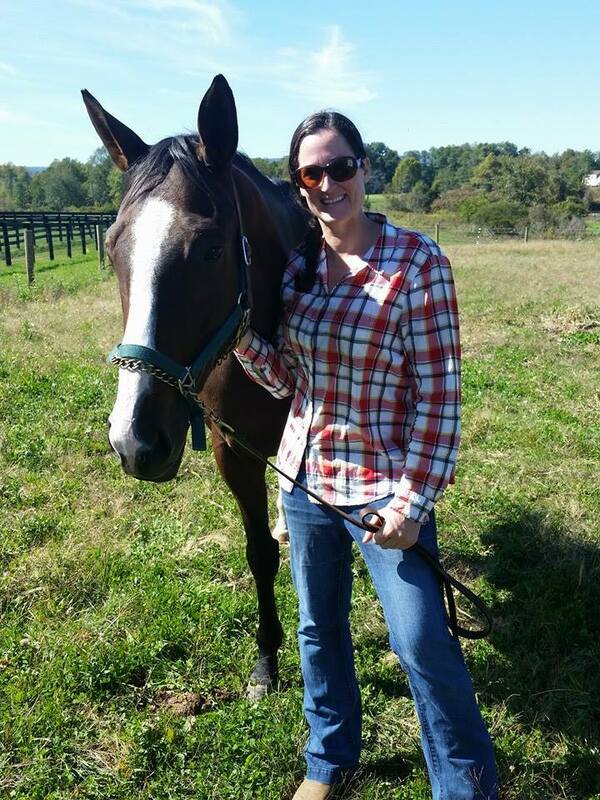 Shannon has since trained in Trauma-Focused Equine Assisted Psychotherapy with Tim and Bettina Jobe of Natural Lifemanship ™ and set out on a journey that led her to collaborate with Jim and Sue Hooper of Haven Oaks farm to create Adirondack Equine Assisted Psychotherapy, LCSW. 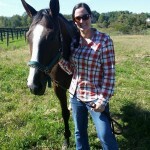 Sue Hooper is our equine specialist, and is a Riding Master graduate of Meredith Manor International Equestrian College. She also holds a B.S. in Equestrian Studies from Salem College. Jim, her husband, helps out whenever needed and stays busy training our young race horses at the track. This Trick’s a Pro, aka Matilda, is a thoroughbred mare. She was born at Haven Oaks Farm and after a successful racing career, retired from racing in 2008 with 7 wins out of 36 starts and earnings of $80,000. 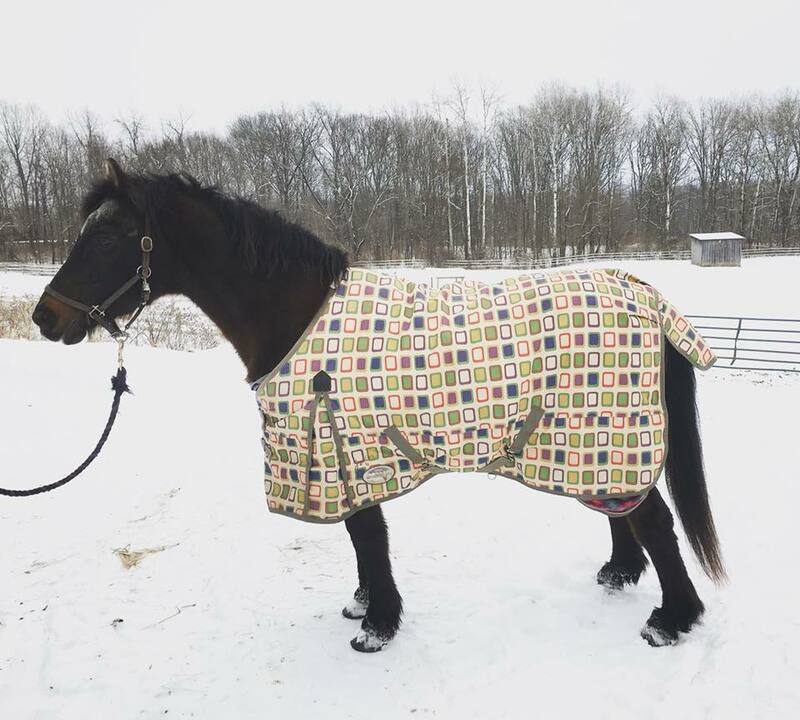 Owner Brenda Stark is currently training her in dressage and in her first dressage show in the fall of 2013, she earned the Reserve Champion award. Miss Hy Hu Hickory (Misty) is a 16 yo Quarter horse mare. Misty and her owner Kristina enjoy competing in Western Pleasure, Equitation, Horsemanship and Showmanship at local open horseshows. Misty and Kristina earned several Champion and Reserve Champion awards in 2013, which was only their 2nd year competing. 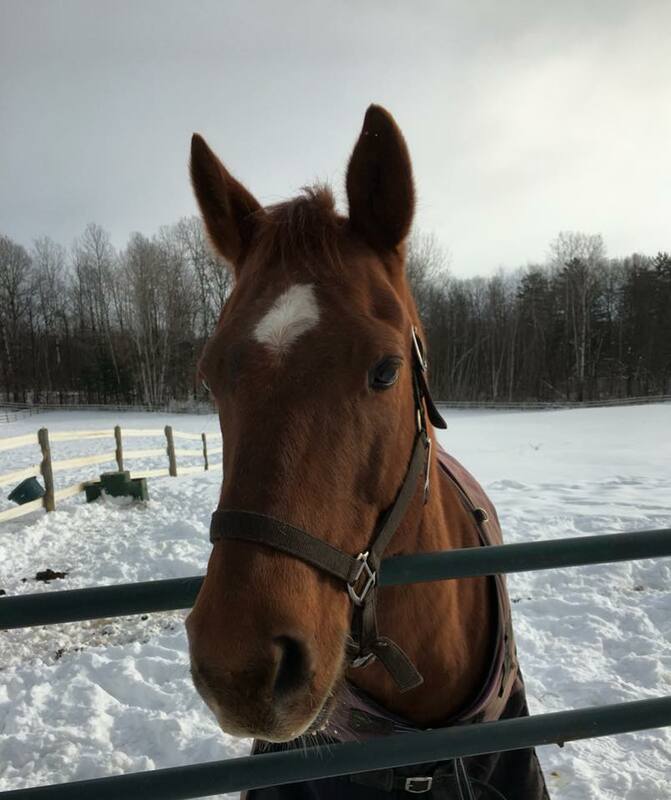 Tigger is a 30 yo Quarter horse gelding. Tigger is the oldest resident at Haven Oaks Farm. 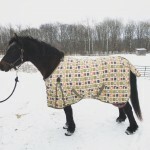 He and his owner, Sue, enjoyed competing in dressage and eventing until his retirement 12 years ago. 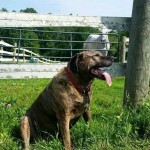 Tigg was our lovable “curmudgeon” and a fixture on the farm. Ahugaroundtheneck, aka Hug, is a thoroughbred mare. 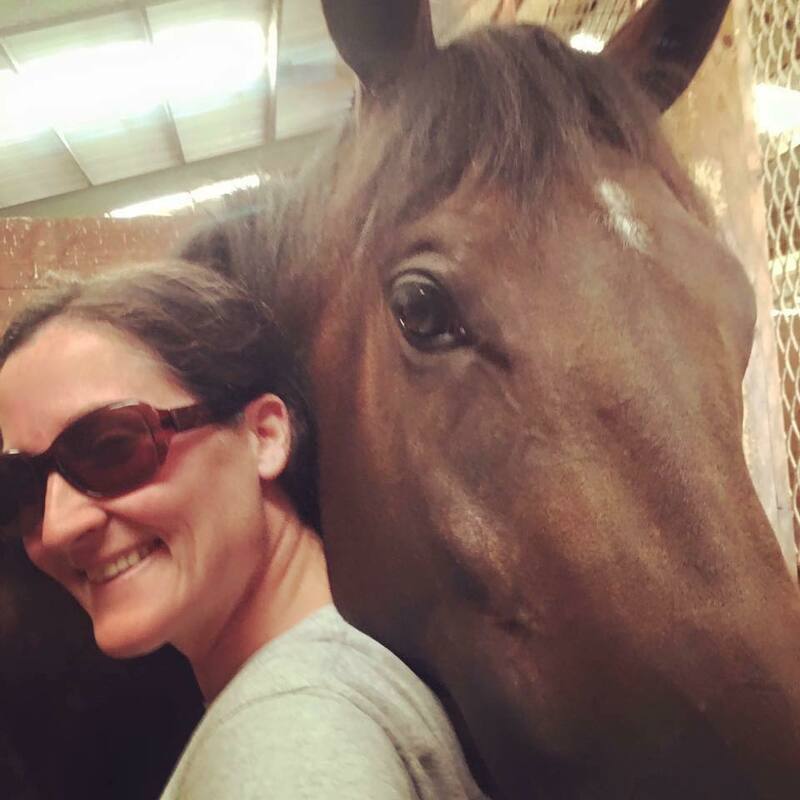 She retired from racing with 2 wins out of 25 starts and earnings of $99,000. 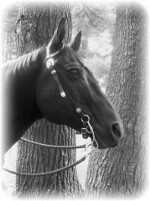 After her racing career, Hug had 2 babies and then, after a difficult birthing, became a riding horse for an 8yo child. 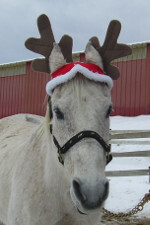 In spring of 2013, Hug returned to Haven Oaks Farm and has since begun her fourth career as a therapy horse, and riding horse for young family members. Hug died on November 10, 2016, just shy of her 21th birthday, and while we miss her very much, her legacy lives on in all who were lucky enough to know her. Black Jack is a registered Quarter Horse. His owner Rebecca inherited him from a dear friend of hers who passed away from cancer. Rebecca enjoys trail riding and taking Black Jack to local shows where he competes in Western Pleasure, Equitation and Trail. Hero, a quarter horse born in 2007, is the newest member of our equine therapy team. He joined us at Haven Oaks Farm on Christmas Eve, 2017. He has quickly become acclimated to his job, and seems to think that being a therapist is the best ‘job’ ever! Chief, a Morgan pony, came to Haven Oaks after his pasture buddy passed away at his owner, Jennifer Comisky’s, farm. It became clear quite quickly that with his sweet, friendly, curious disposition that Chief would make a wonderful therapy horse. 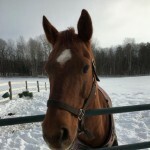 Chief enjoys spending his days with his friends, both human and horse, and looks forward to his connections with clients. No discussion of the Adirondack EAP team would be complete without mentioning Angel! Angel, a thoroughbred filly by Bluegrass Cat, out of No More Flags (Lucy), was born at Haven Oaks on April 16, 2014. She has gone on to rock a very impressive racing career, with multiple stakes wins. She is also Shannon’s heart horse, and when Angel is home, she is Shannon’s own personal equine therapist. What can we say? She’s an Angel! Marley is our official greeter, supplier of tail wags and purveyor of belly scratches! 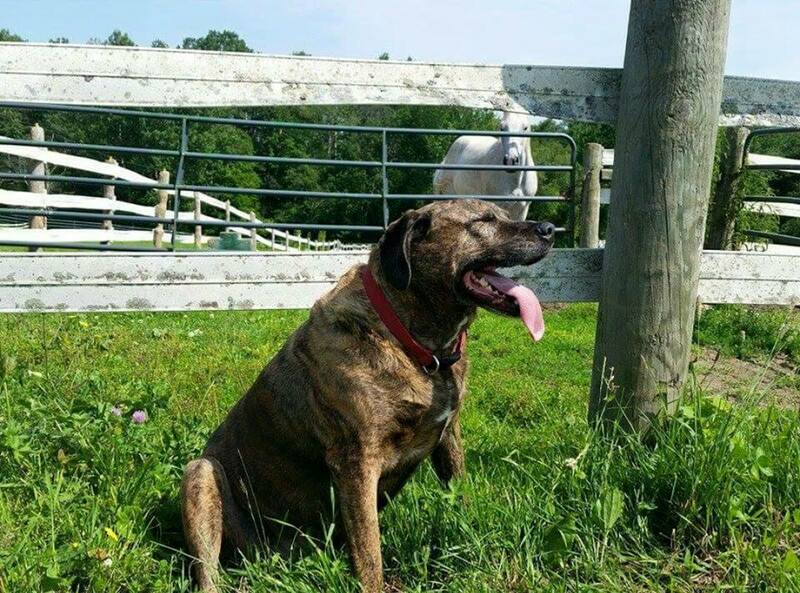 Marley brings joy and happiness wherever he goes, and is an integral part of the Adirondack EAP team.